Firstly can I say, its June, where is the sun!! I have been swimming and cycling like a demon getting ready to rock a swimsuit… And nothing. What’s that you say? Another trip to Barbados? Chance would be a fine thing, with my current schedule I’ll be lucky if I have one day off let alone a week! 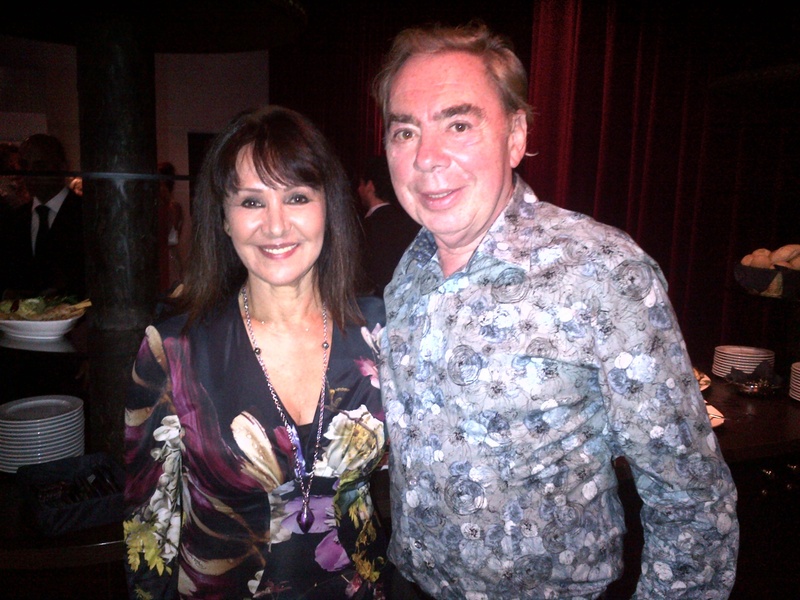 So I left you last time on my way to a wonderful weekend at the home of the Lord himself, Andrew Lloyd Webber. I’ve been attending Andrew’s legendary Sydmonton Festivals he hosts once a year since the very beginning, and they are never nothing short of sublime. This year of course was no exception, and as well as the usual events – which always include a fabulous dinner with entertainment and a sneak preview performance of whatever new piece of genius Andrew is currently working on – this year was his son Alistair’s 21st birthday, and we celebrated it in spectacular style! Young and old drunk and danced the night away after a fantastic performance of Al’s new dance musical “The Wolf”, which involved lots of audience participation… Fortunately the sun had managed to find a way out from behind the clouds for the weekend, and I spent a wonderful time chatting with the very witty Graham Norton, and also had a wonderful catch up with Alex Hansen who was there starring in the showcase for Andrew’s new musical, Stephen Ward. Alex I have known for many a year, since he first worked for me in a production I choreographed called Matador – that starred a very unknown then John Barrowman! Overall it was a superb weekend, and I can’t wait for the next one! I had a very exciting Monday morning at a reception for the Special Yoga centre, held at Trudie Styler‘s beautiful home in Westminster. It was wonderful to see and support the amazing work they are doing with special needs children, yoga really does have the most exceptional results. 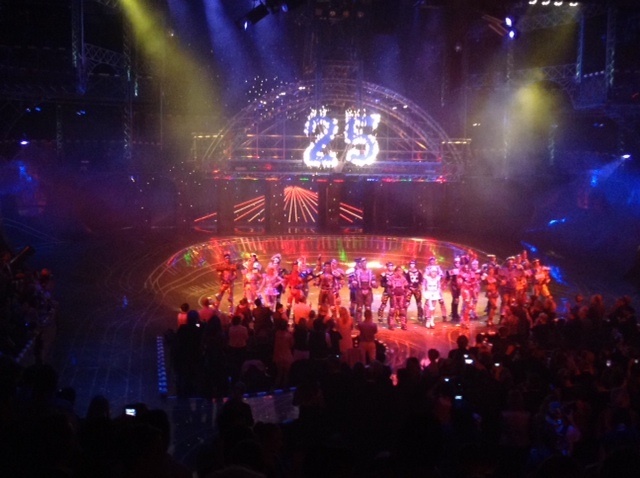 The rest of the week was spend in hot but cloudy Bochum, for the official 25th year anniversary of Starligh Express in Germany. As you know, I’ve been hopping back and forth, making changes and updating the show in preparation for this amazing new 26th year, and let me tell you all the hard work and travel has not gone to waste! 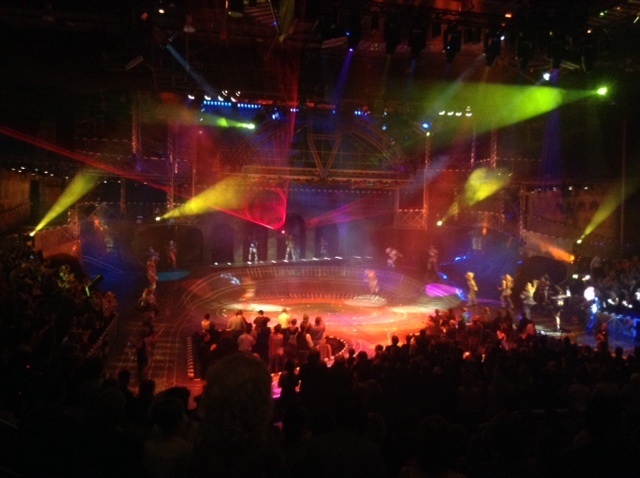 The show was quite simply spectacular, and brought tears of pride to my eyes. It was wonderful to have the original creative team there, of course Andrew, and also John Napier who designed the phenomenal set and costumes. The performances were outstanding, and I would just like to say a huge thank you to all involved for making the evening so special. It was also wonderful to have my two girls with me to share the night. Alana who was eight when we moved over there for three months to first put the show on. So many people who can come to celebrate with us couldn’t believe she is now a grown up! Abi had never seen the show there before, so watching her amazed expressions throughout was such a joy to behold. Should you ever find yourselves over that way, make sure you check it out! Friday I was back in London, much to Coco’s relief as she has as always hundreds of emails for me, so it was a “proper” work day getting down to business in the office. Sofa Saturday as I shall call it was deservingly restful… And that’s all I have to say about that! 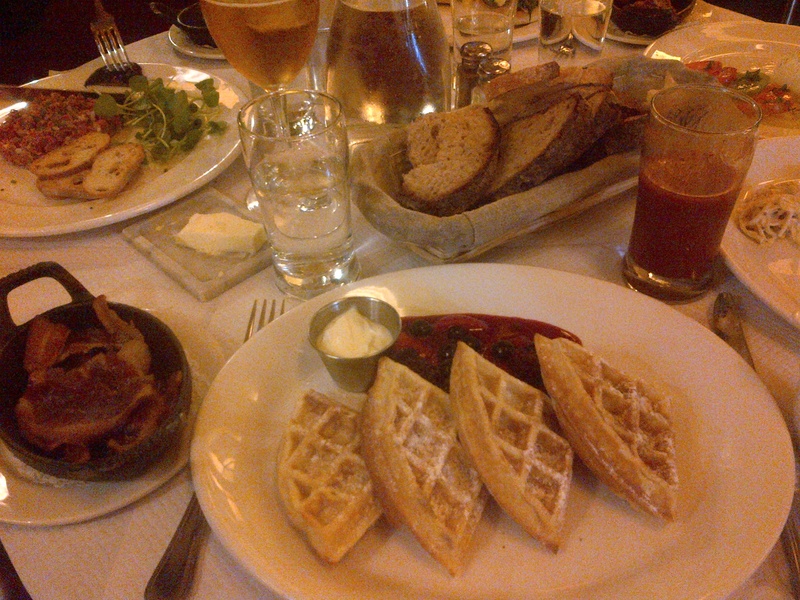 Sunday started with an exceptional Fathers day brunch at our new favourite restaurant Balthazar and I have to say I was very restrained in my choices, foregoing Alana’s choice of sour cream waffles with fresh berries and crispy bacon, for a salad! That afternoon Alana and I left the remaining family on the sofa who were still recovering from the mega brunch, to head to the Pleasance Theatre in Islington, where two dear colleagues of mine had directed and choreographed a student production of Parade. It was superbly done, Kate Golledge and Ashley Nottingham, I bow to your brilliance. So here we are, the start of a new week, and when I say it is packed for me, I literally do not have five minutes! Of course I can’t complain, my work is my life, and I love it! I’ll be back next week with all the goss on my upcoming shoots and secret meetings, so make sure you check it out! So after what can only be described as Birthday madness… I took myself off to the country for a week of total rest and relaxation, and it was heavenly. I literally spent the week drifting from my bed, to the sofa, to lunch, back to the sofa, to dinner, and back to bed. So I can honestly say for the first time I have pretty much nothing to report! 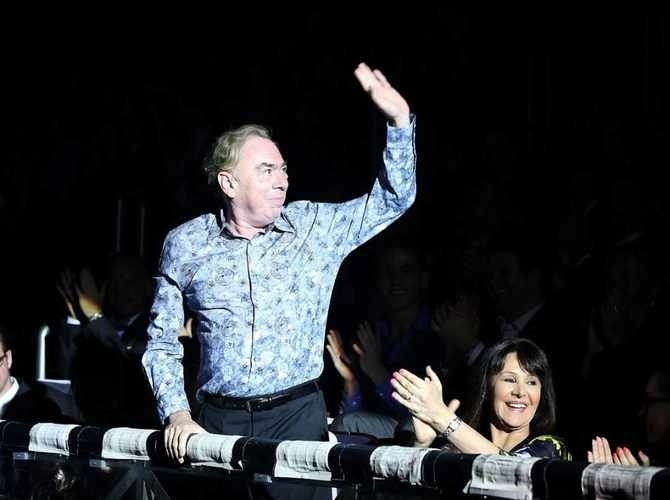 I’m desperately hoping the weather holds out this weekend, as I shall be spending it with The Lord himself, ALW! With a festival, and a very special 21st, I’ll have lots more to tell you about next week. So as this is the mini one, I’m going to leave you to head back out into the sunshine, and wish you all a lovely weekend!